In 2012, nearly 75 million young people between the ages of 15 and 24 were unemployed worldwide, and 14.3 percent of those young people lived in Latin America, including the Caribbean. Considering this alarming rate of unemployment, Caribbean governments have put forth a number of initiatives to provide their youth with basic skills and opportunities to find gainful work, but there is still more to be done. At a time of considerable economic decline, youth entrepreneurship and careful monitoring of programs are promising solutions because these measures provide young people with the means to be self-employed and to remain so for an extended period of time. This article outlines general trends in Caribbean youth’s unemployment and government initiatives, and reviews Jamaica’s efforts to support its youths’ entrepreneurial efforts. There are numerous reasons why young people have such high unemployment rates throughout the region. First, the recent global economic downturn characterized by “recession, debt service obligations, and declines in development assistance” significantly decreased the number of job openings available. For example, as a result of the crisis, Jamaica’s overall labor force decreased by 2.7 percent in 2010. This resulted in the loss of 16,000 jobs for youths between the ages of 14 and 24 from October 2009 to October 2010. Meanwhile in Barbados, in 2011, while the overall unemployment rate was 11.2 percent, the youth unemployment rate was more than double that, at 28.9 percent. It is evident that youth are especially vulnerable to being out of a job during times of general economic hardship. Furthermore, a general lack of preparation leads to unemployment among the young, as they often do not have the skills needed to compete against older, more experienced workers. This is especially true in low-income communities where there are fewer resources. Even if they manage to secure employment, younger workers are likely to be fired first under the assumption that they have fewer dependents, and thus the impact of their lost income would be less severe. In other words, vulnerability on account of a strained economy, added to limited experience, makes it more difficult for youth to acquire and keep a job. Considering that approximately 25 percent of the Caribbean population is between the ages of 10 and 24, an increase in unemployment has greater consequences for youth, their families, and society. People who are suffering from unemployment are likely to have a lower sense of self-worth because they are not actively contributing to society. According to the International Labour Organization (ILO), “a lack of decent work, if experienced at an early age, threatens to compromise a person’s future employment prospects and frequently leads to unsuitable labour behavior patterns that last a lifetime.”  Furthermore, high rates of unemployment and idleness among youth in general are correlated with increased violent crime. A study by the World Bank, published in 2007, found that “in Jamaica, in 1998, 80 percent of all prosecuted crimes were committed by young people aged 17 to 29.”  Although the statistic is 15 years old, the involvement of youth in criminal activity is still apparent in today’s Jamaica, as evinced in the government’s prodigious resources allocated to controlling gangs. The individual impacts are evident and go on to influence those who live in close proximity to that person. Familial units suffer because they lack the added income that could be contributed to the household. If a young person works, then a family could more easily meet its basic needs without strain. On a larger scale, “governments spend more money in corrective services, security, crime, drug prevention, and unemployment benefits” when young people are without jobs, according to the Organization of American States. Caribbean governments must assume the onus of correcting destructive behavior that could be avoided if, instead of idle time and little structure, youth had a constructive outlet. The first ever U.N. Human Development Report focusing specifically on the Caribbean was published in 2012, and found that, “for every additional ‘gang’ in a community, homicide rates increased by about 10 percent.”  Youth unemployment could even be considered a threat to national security, due to the rampant crime, violence, and economic burdens it causes. The Caribbean Community estimates that “the cost of gang-related crime is between 2.8 and 4 percent of gross domestic product (GDP) in the region through both the cost of policing and as a result of lost income from youth incarceration and reduced tourism.”  Widespread youth unemployment results in negative consequences that can be registered on both large and small scales. There have been numerous programs across several countries, as well as some regional seminars, to address youth unemployment in the Caribbean. For example, the Youth Entrepreneurship Scheme in Barbados was established in 1995 with the goal of promoting “youth empowerment and development through the establishment of viable and sustainable micro and small businesses.”  In 2000, Youth Business Trinidad and Tobago was founded with the purpose of “helping young persons to work for themselves by providing access to business loans and business mentoring.”  Most recently, the Commonwealth Youth Progamme Caribbean Centre and the ILO held a regional seminar in St. Lucia surrounding the theme, “Addressing Youth Employment Changes in Times of Crisis.”  The focus of the these programs, and others like them, is multifaceted, with concerns for problem solving, financial acumen, and entrepreneurial development; however, it seems that they fail to encourage the skills that are necessary to survive in and to transform a region with a lackluster economy. Jamaica is a good example of how youth unemployment and the programs meant to solve this issue are seen as falling short. Jamaica has the lowest average annual per capita GDP growth in the Caribbean outside of Haiti (negative 0.1 percent), and recently signed an agreement with the International Monetary Fund, with funding from the World Bank and Inter-American Development Bank, for nearly $2 billion USD in loans throughout the next four years. In terms of violence, the aforementioned U.N. Human Development Report found that Jamaica has the “highest homicide rate in the Caribbean and the third-highest murder rate worldwide in recent years, with about 60 murders per 100,000 inhabitants.”  The impacts of increased violence are considerable, with $529 million USD spent on costs associated with crime every year. There are approximately 800,000 young people in Jamaica, and given the country’s waning economy, it is not surprising that youth are negatively impacted. As of July 2012, unemployment for Jamaicans aged 14-19 was at 47 percent—virtually unchanged from the previous year. Unemployment for those aged 20-24 in 2012 was at 30.1 percent—a 3.7 percent increase since 2010. These numbers are nearly double those of adult unemployment. Particularly startling is that the overall youth unemployment rate in Jamaica in 1990 (ages 15-24) was 25.4 percent—indicating that the problem has increased over the past two decades. Young Jamaican females are more likely to have higher rates of unemployment than males, on average, despite having higher enrollment and average daily attendance rates in school. Young men tend to lag behind and often yield to societal expectations that men “acquire income-generating skills, leave school early to go working, or get involved with gang activities and criminal actions.”  This negative correlation between education and employment for young women demonstrates an overall lack of opportunities to work. There are four notable advances that have been made—past and present—which have been implemented to resolve youth unemployment issues. The 1994 Jamaican Youth Policy focused on motivation, as it specifically states that its goal is to “improve work ethics and training and promote entrepreneurial skills.”  The National Centre of Youth Development, created in 2000, organizes a Youth Entrepreneurship Training program that emphasizes entrepreneurial skills and development as means of alleviating unemployment. In addition, the Jamaican Emergency Employment Programme, founded in 2011, is a job placement organization aimed at the general population. To date, it has created 15,000 jobs for youths and adults. An important program launched in June 2012, Digital Jam 2.0, demonstrates the importance of entrepreneurship and the need for similar programs. Digital Jam 2.0 capitalized upon the booming mobile applications and virtual economy markets by focusing on relevant and forward thinking topics. 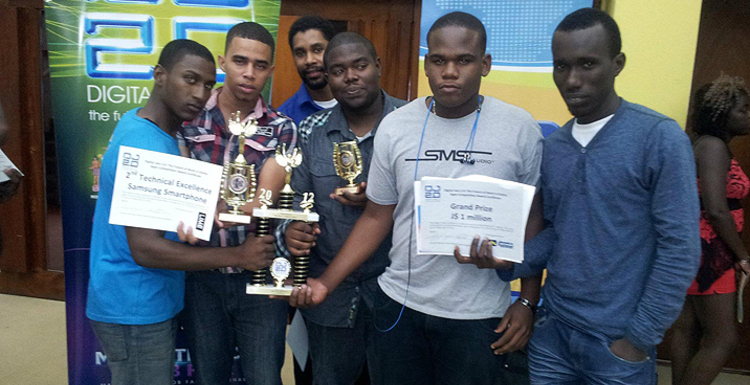 Funded at less than $200,000 USD, the program attracted “2,000 young Jamaicans in a series of competitions (app contests and a “hackathon” on the sports industry), workshops, training on mobile software development, and presentations by industry leaders [and] successful young Jamaicans who are currently working online.”  Not only were youth exposed to opportunities in the field of technology, but Howard University, a premier black institution located in the U.S. capital, also offered two full Master of Arts fellowships to the winners of the app competition. As a result of the event, there are now 4,400 new Jamaican youth working in the fields of microwork (dividing tasks into smaller jobs to be be completed via internet) and e-lancing platforms (online freelancing). Forward thinking initiatives like Digital Jam 2.0 are of the utmost importance because they offer relevant skills that could position youth to be competitive in the global market. The Jamaican government seems committed to ending youth unemployment, but, despite nearly two decades of these efforts, the problem of rampant youth unemployment persists. Jamaica and other Caribbean countries have tried to resolve youth unemployment; however, the goal to lessen youth unemployment in times of economic downturn would be better supported if there were more emphasis on entrepreneurship and careful monitoring of the programs’ success or failure. It could be argued that entrepreneurship is just one of a number of factors that should be attended to in the struggle to alleviate youth unemployment and that other methods—such as teaching marketable skills through education, reforming the punitive justice system, addressing economic issues, and providing more systematic loans—should take precedence. This is a valid concern; however, youth entrepreneurship should be a priority alongside these other considerations, despite a paucity of resources, as it is an important means of achieving self-sufficiency that can be maintained in spite of the economic downturn. A diverse use of interventions, entrepreneurship included, will help to develop “secure, valued, and empowered adolescents who can realize their full potential and contribute to a sustainable Caribbean Community,” says Darren Turnques, the Bahamas Director of Youth in the Ministry of Youth Sports and Culture. Programs like Digital Jam 2.0 are exemplary models of success. Today’s Caribbean youth will soon be the leaders of their countries, and their governments should encourage them to realize their potential through the development of their own businesses. Furthermore, it is not enough to merely encourage entrepreneurship. The government should promote and foster quality businesses, which offer “unique products and services that could be sold at higher prices, and at international markets.”  The existence of innovative and successful businesses will help support flagging economies and disrupt the negative consequences, like youth violence and distorted self-image, caused by high youth unemployment. Nonetheless, it is important to monitor the effectiveness of these programs so that the government does not waste its time and resources. August 12 was International Youth Day, an occasion to stress the plight of young people in the Caribbean and how entrepreneurship could be a viable way to help them to become productive, self-employed citizens despite their country’s dismal economic situation. Doing so would benefit individual young people, their families, and their country. 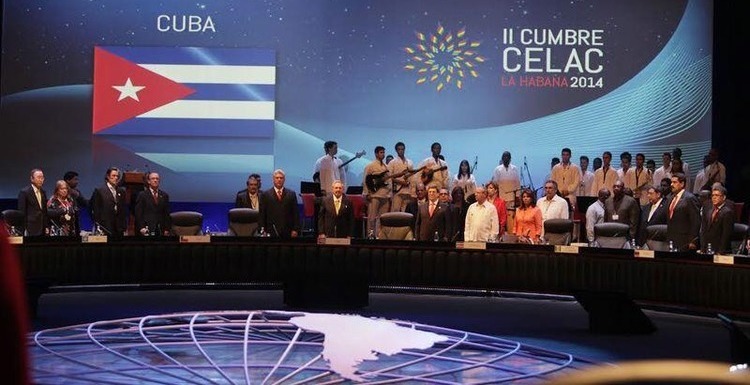 The importance of this issue cannot be exaggerated, as it was the focus of the Eighth ILO Caribbean Labour Ministers meeting held just last month. Director General of the ILO, Guy Ryder, captured the need for change by affirming, “doing right by youth is a foundation for future success.”  Guided by a managerial spirit of innovation, endless possibility, and creativity, a new future is possible for Caribbean youth. International Labour Organization, Global Employment Trends for Youth, (Geneva: ILO, 2012), http://www.ilo.org/wcmsp5/groups/public/—dgreports/—dcomm/documents/publication/wcms_180976.pdf. Tamjidul Huda Kazi, “Youth Unemployment in the Caribbean: Social and Economic Backgrounds,” (paper presented at the United Nations Sub Regional Workshop For the Caribbean on Youth employment policies, Kingstown, St. Vincent & the Grenadines, December 15-17, 2004), http://unpan.org/publications/PDFs/E-Library%20Archives/2005%20Report%20on%20the%20United%20Nations%20Sub-Regional%20Workshop%20for%20the%20Caribbean%20on%20Youth%20Employment%20Policies.pdf. Stefanie Dorotha Weck, “Jamaican Youths on Their Way to Employment,” (MA thesis, Aalborg University, 2012). Wade Mark, “Tackling Youth Unemployment in Trinidad and Tobago and the Caribbean,” (paper presented at the 58th Commonwealth Parliamentary Conference, Colombo, Sri Lanka, September 7-15, 2012). World Bank, School and Work in the Eastern Caribbean: Does the Education System Adequately Prepare Youth for the Global Economy? Washington, D.C.: World Bank Publications, 2008. Population Reference Bureau, Noncommunicable Diseases in Latin America and the Caribbean: Youth Are Key to Prevention, (Washington, D.C.: PRB, 2013), http://www.prb.org/pdf13/noncommunicable-diseases-latin-america-youth-datasheet.pdf. International Labour Organization, Global Employment Trends for Youth. 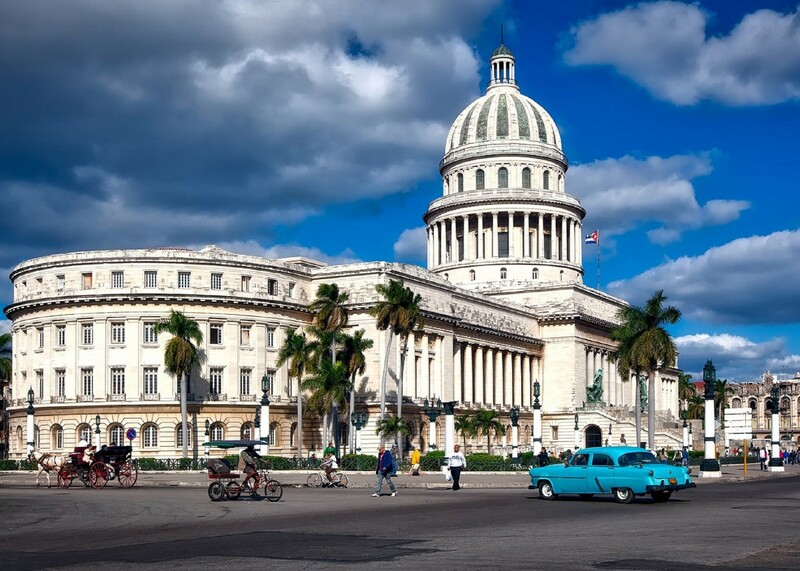 World Bank, School and Work in the Eastern Caribbean. Stella Yerutí Mendez Cardozo, “Entrepreneurship As a Strategy for Job Creation in Latin America and the Caribbean,” (University of Maryland University College). “Criminal Violence Taking Rising Toll in Caribbean Countries, UN Report Finds,” UN News Centre, accessed July 26, 2013, http://www.un.org/apps/news/story.asp?NewsID=41175#.UgObEWQ6UbB. “Youth Entrepreneurship Scheme (YES),” Ministry of Commerce and Trade, Barbados, accessed July 25, 2013, http://www.commerce.gov.bb/index.php/departments-a-agencies/business-development-unit/small-business-agencies/youth-entrepreneurship-scheme-yes. 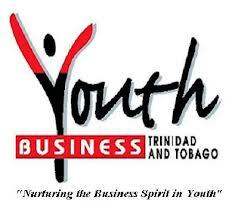 “Youth Business Trinidad and Tobago” Youth Business Trinidad and Tobago, accessed July 25, 2013, http://www.ybtt.org/index.php. Jake Johnston, “The Multilateral Debt Trap in Jamaica,” Washington, D.C.: Center for Economic and Policy Research, 2013. World Bank, Caribbean Youth Development: Issues and Policy Directions (Washington, D.C.: World Bank Publications, 2003). “Jamaica Emergency Employment Programme,” Jamaica Emergency Employment Programme, accessed June 20, 2013, http://www.mtw.gov.jm/JEEP/jeep.aspx. “Creating Employment Solutions for Young Jamaicans in the Virtual Economy,” World Bank, accessed July 20, 2013 , http://www.worldbank.org/en/results/2013/04/24/creating-employment-solutions-young-jamaicans. “ Lack of Funds Frustrating CARICOM Push Against Youth Crime and Violence,” Caribbean 360, accessed August 6, 2013, http://www.caribbean360.com/index.php/news/bahamas_news/619644.html#axzz2bDGzoU9b. 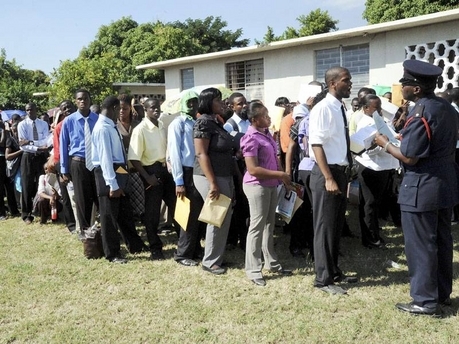 “Regional Labour Ministers Urged to Tackle Youth Unemployment,” Jamaica Observer, accessed July 18, 2013, http://m.jamaicaobserver.com/mobile/news/Regional-labour-ministers-urged-to-tackle-youth-unemployment_14619800.